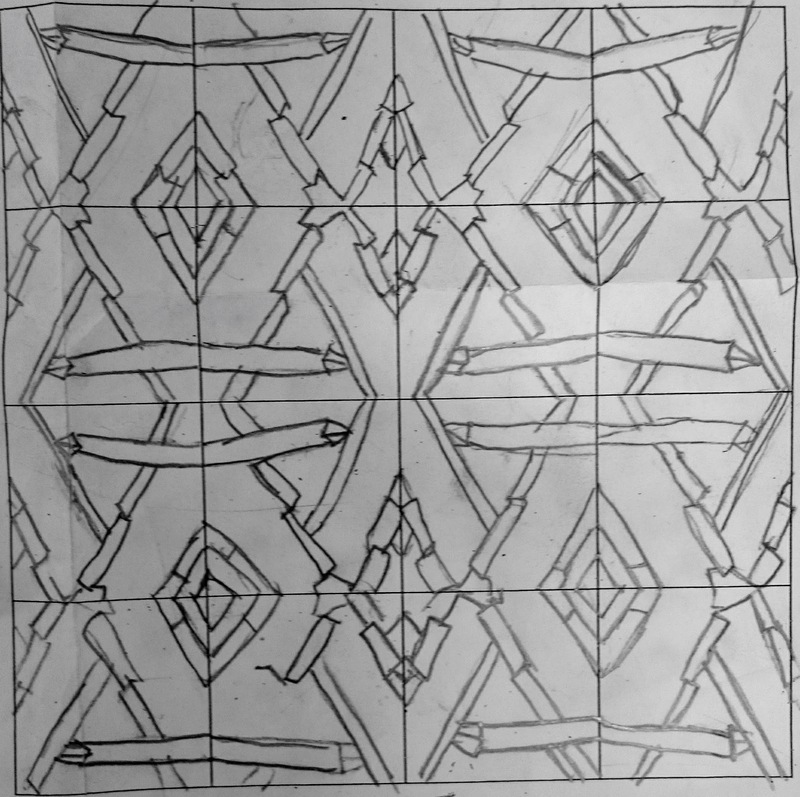 I have been teaching pattern design inspired by MC Escher to my Year 8 groups in school. 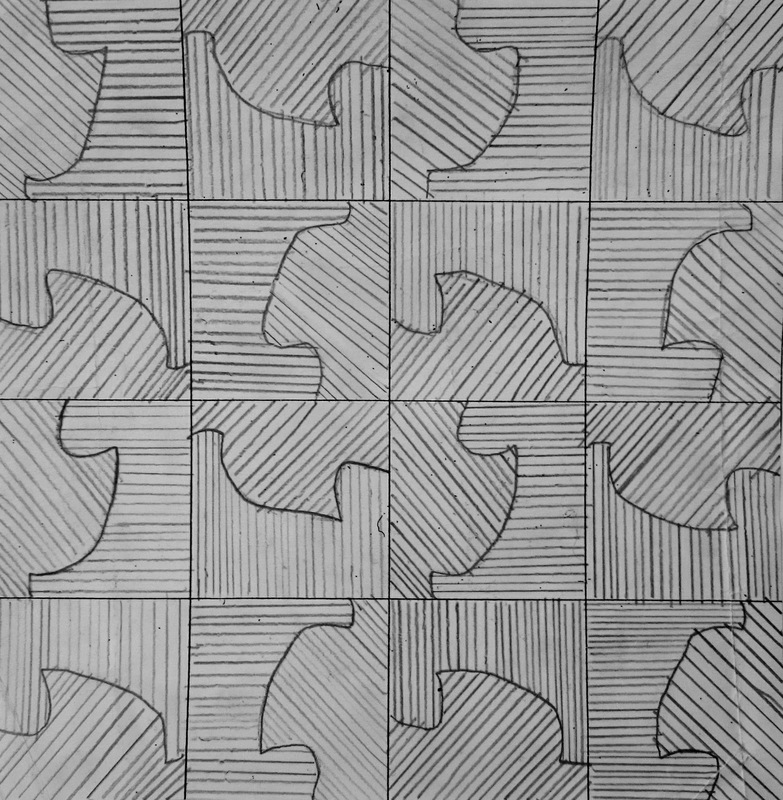 By the end of the project, students were able to understand how to abstract sections of previous drawings and develop them into patterns. They looked at 4 simple pattern repeats: basic, half drop, 90 degree rotation and reflection. I have broken down the project into steps and provided a link to the resources at the end of the page. Students created a viewfinder (out of paper) that had a 5x5cm gap in the middle. They followed the instructions on this slide and I gave them 5 minutes to problem-solve before I helped. They used their viewfinders to select areas of their previous work that they found interesting. They could use any other page from their sketchbooks. 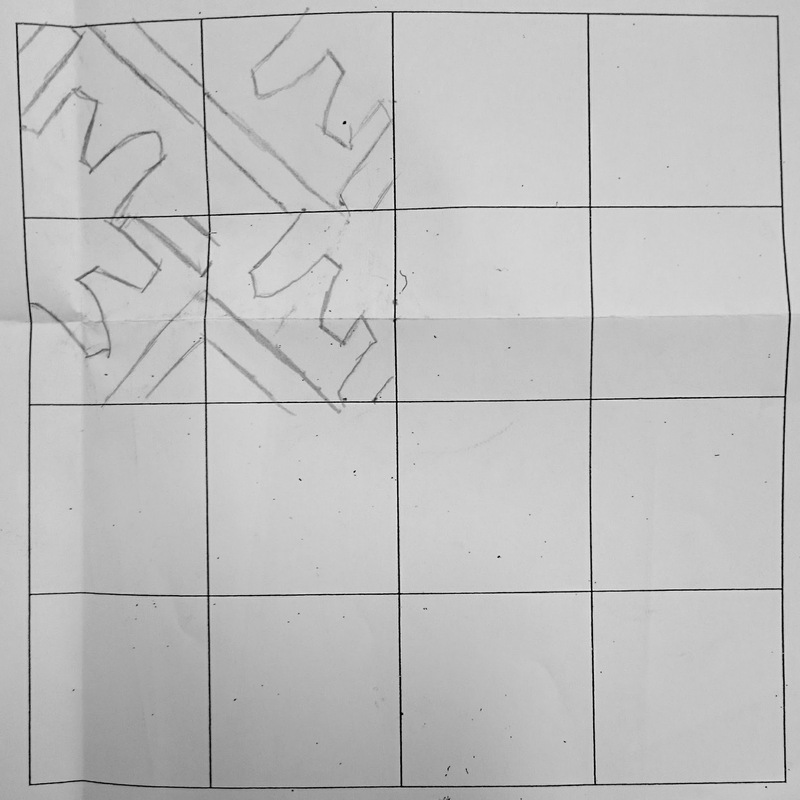 Students were going to use one of their designs to create a pattern. 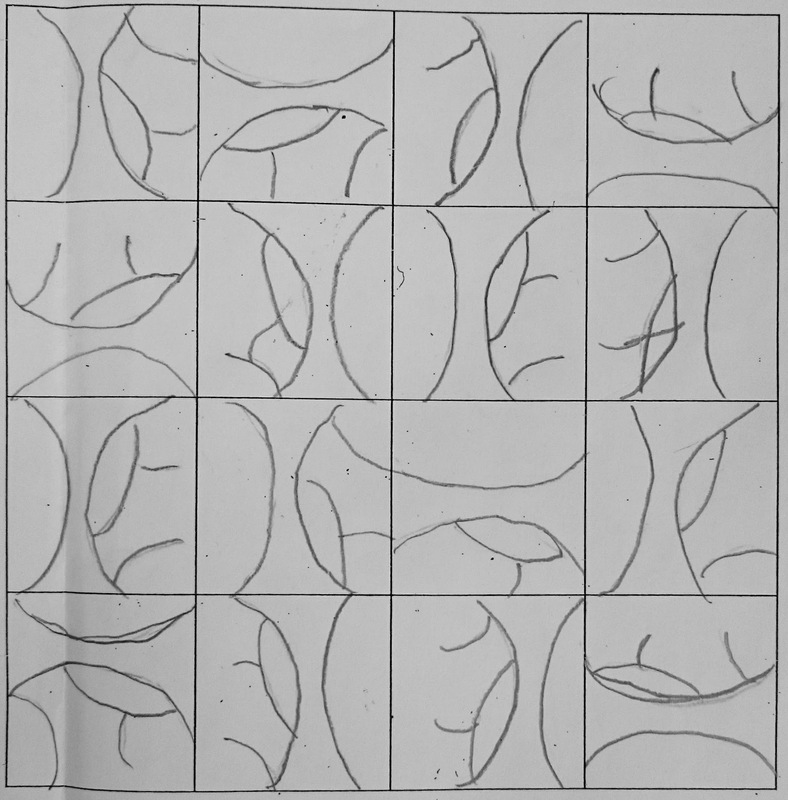 To ensure accuracy, students traced their favourite abstraction onto side 1, then turned their tracing paper over and traced the lines again onto side 2. They needed to transfer their abstraction onto a grid (pre-printed resource). This meant they had to press down on side 1 to reveal their drawing. Students were given the following problem-solving task to understand different types of pattern repeats. They then chose which type of repeat they wanted to try and worked on the pre-printed grid to try and create it. 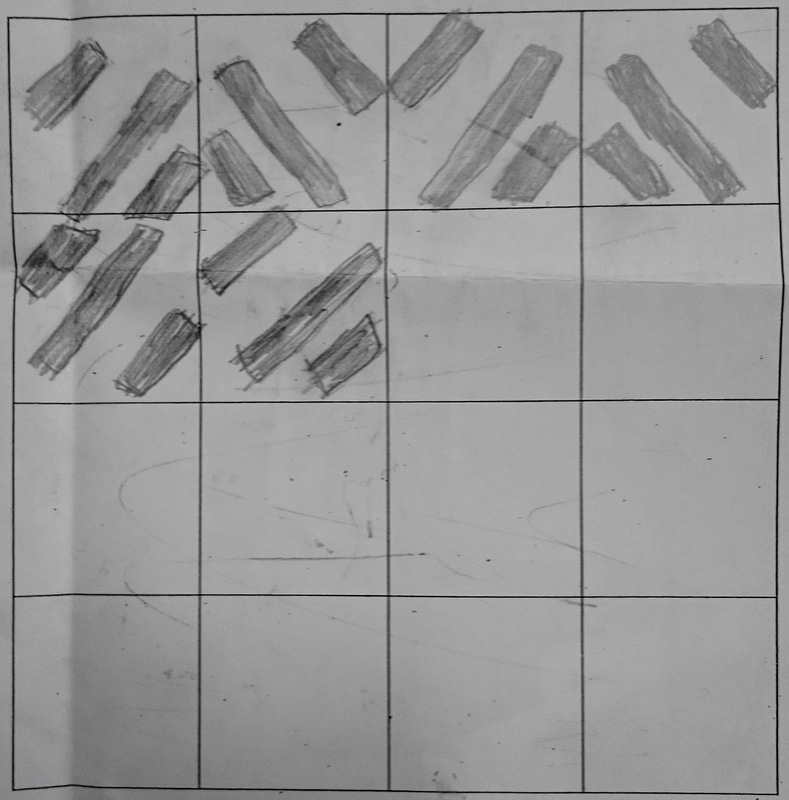 Examples of students work as they started creating their patterns are below. Naturally, some made mistakes so there are slides on the resources which allow students to identify misconceptions and fix them. Once students had completed their pattern repeat grid, they could start to work in colour. Here I introduced some colour theory and asked students to work with 3 colours in total. We are going to develop these designs into print blocks so they needed a maximum of 3 colours to ensure their prints worked. Here are some of the student’s finished pieces, let me know what you think in the comments! 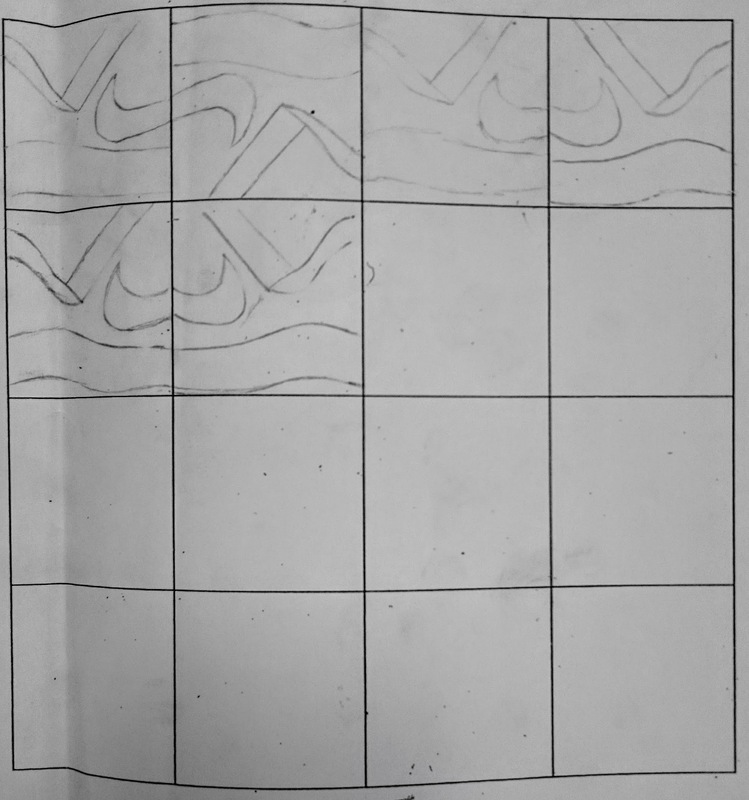 You can get all the resources for this KS3 Creating Patterns and Pattern Design project here.